Do we really need another Spartan tech binding, you might be thinking? Aren’t there enough already on the market? 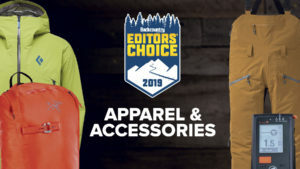 It’s a good question, and the Alpinist’s answer is based less on the weight and more on the binding’s uphill functionality. To be sure, weight is part of that equation, but there’s more to uphill efficiency than grams. Last week in Courmayeur, Italy, I had the chance to take a first look at Marker’s new Alpinist. Here’s what I found. 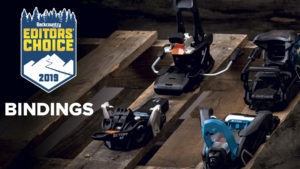 In the world of pin-tech bindings, first impressions can be critical, and ease of entry dominates that discussion. The Alpinist lacks alignment bumpers as is the current trend but uses visual clues to assist in proper alignment—two tabs on either side of the toe lever, plus two in front of the pin arms, offer a good reference. Press down and the two arms snap into toe inserts with a reassuring, tight feel. One caveat: I had trouble clicking in when my heel was raised, making it more likely to twist the boot while pressing down and causing one of the pins to miss when closing. When I kept the heel low and the boot relatively flat, it went in on the first try. The Alpinist’s solid feel comes courtesy of two—not six, like the Kingpin—strong springs with thicker gauge wire and a pivot location on the arms that stands 17mm above the base, not 15mm as Dynafit has standardized. 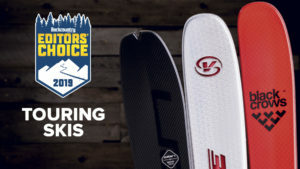 Like G3’s ION has demonstrated, a higher pivot creates a stronger closure force, one that is harder to open via the natural vibrations inherent in a downhill run. 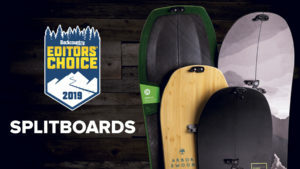 In uphill mode you’ll still want to lock out the toe, but you may not feel compelled to use that as a crutch for dependable holding power when cranking turns. Hint: Look for a version of the Alpinist toe to replace the Kingpin’s six-pack. The Alpinist comes in two release flavors, the Alpinist 12 with release values from 6.0 to 12.0, and for those who want lighter settings, the Alpinist 9 with settings from 9.0 to 4.0. 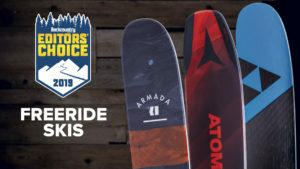 As with many in the new generation of tech bindings, the Alpinist allows for dynamic length compensation—up to 4mm—from a ski bending. 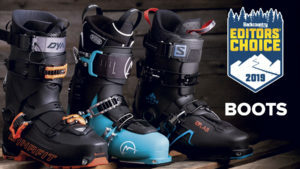 Thus, you don’t rely on a gap between the front of the heel and back of the boot to compensate for the ski’s flex, and the heel unit instead “kisses” the boot. 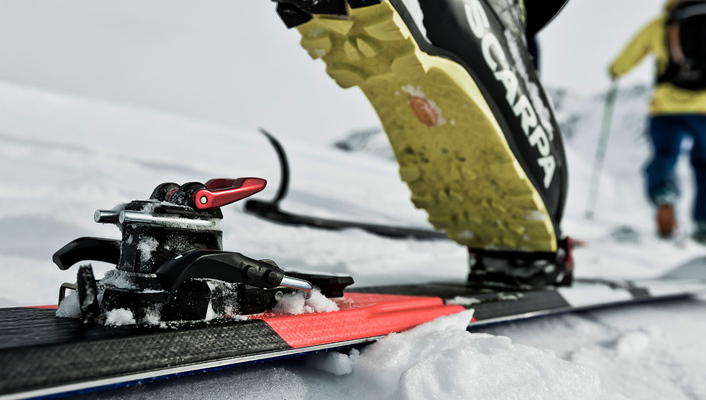 In addition, the standard heel allows for 15mm of positional adjustment, meaning it could accommodate two pairs of boots, one with a shorter skimo-race sole and one with a longer, more traditional sole. 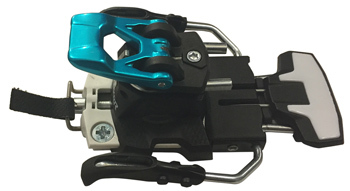 It’s also possible to get a demo binding with 35mm of adjustment range that comes with a minor weight penalty. The heel is not elevated, yielding a neutral ramp angle—adding a ramp angle requires shimming the heel. Optional brakes are available in 90, 105 and 115mm widths, weighing 3 oz. The Alpinist offers three riser heights: nine, five and the oft-overlooked zero-degree option. A climbing post flips forward to cover the heel pins to yield a modest, five-degree heel post that offers just enough lift for low-angle skin tracks. For steeper approaches, twist the heel 180 degrees and the anodized climbing-aid lever forward to engage a nine-degree post. Flip it back for a zero-degree setting. Switching between five and nine degrees means rotating the heel, something I found to be inconvenient by comparison. Without a doubt the most noticeable factor in uphill efficiency with the Alpinist is the lack of weight—a mere 245 grams (per foot) without brakes. The key to trimming the fat lies in a toe unit with a polyamide baseplate with long-fiber carbon added for strength. The pins securing the toe arms are pushed into the plastic baseplate while the polymer is still soft, eliminating the need to drill the holes, thus keeping the carbon fibers intact (drilling would cut the fibers and compromise durability). Marker made the shift to two springs from six, in part, to minimize the surface area beneath the springs where ice can collect. 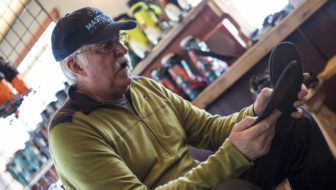 On a tour in humid conditions no one in a group of 30-plus skiers noticed ice buildup, a testament to the fact that reduced spring surface area and the flexible elastomer pad behind the toe springs further kept snow from building up. 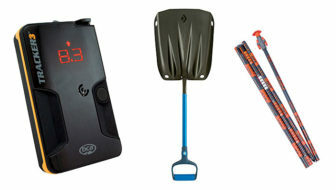 Bottom Line: There are certainly pin bindings available that are lighter, but their feature sets are limited, and many require fiddling proficiency. 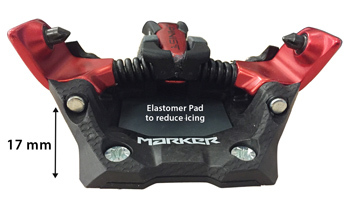 Marker’s Alpinist, on the other hand, has three climbing heights, options for brakes and ski crampons, easy entry, reduced icing potential and is competitively priced. 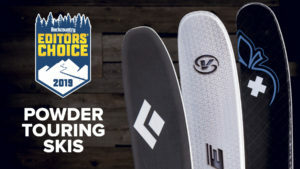 For lighter skiers, it offers release values down to 4 or up to 12. If you need more than 12, saving weight probably isn’t your highest priority. 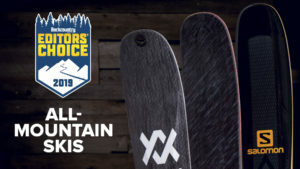 The Alpinist 12 and 9 will be available in this fall, and we’ll test both at Gear Test Week this March. The bindings are estimated to retail for $395 and $370, respectively. Is the release value adjustable for twist and vertical release? Yes. Lateral release is a simple adjustment with a torx headed screwdriver, adjustable within the range of the binding, 4.0 to 9.0 for the Alpinist 9, or 6.0 to 12.0 for the Alpinist 12. Vertical release is via the U-shaped spring bar which can be swapped out to be Soft (~ DIN 5), Medium (~DIN 7.5) or Hard (~DIN 10.5) with an allen key at the back of the heel unit. Nice review, Craig. Seems to me that having to reach down and twist the heel unit every time one wanted to go from middle to tall climbing riser would be a real hassle over the course of a day, especially on longer, rolling approaches. I’m assuming you didn’t get to log a ton of time on this binding, but what might your thoughts be on this particular quirk? Are the heel and/or toe hole patterns the same as the Kingpin? You should NEVER be locking the toe for descending. Its absurdly dangerous and totally unnecessary. Only idiots or people who are so insecure that they want to boast about doing so will do it.